Due to some personal conflicts of time, the guy who had been running the local Warhammer tournaments had to step down. In doing so, he has passed the torch to a new group of players. 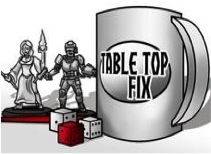 As one of those players, I have volunteered to assist in running the 40k side of things. I’m not fully in charge, but I will be helping with writing missions and running the tournaments. 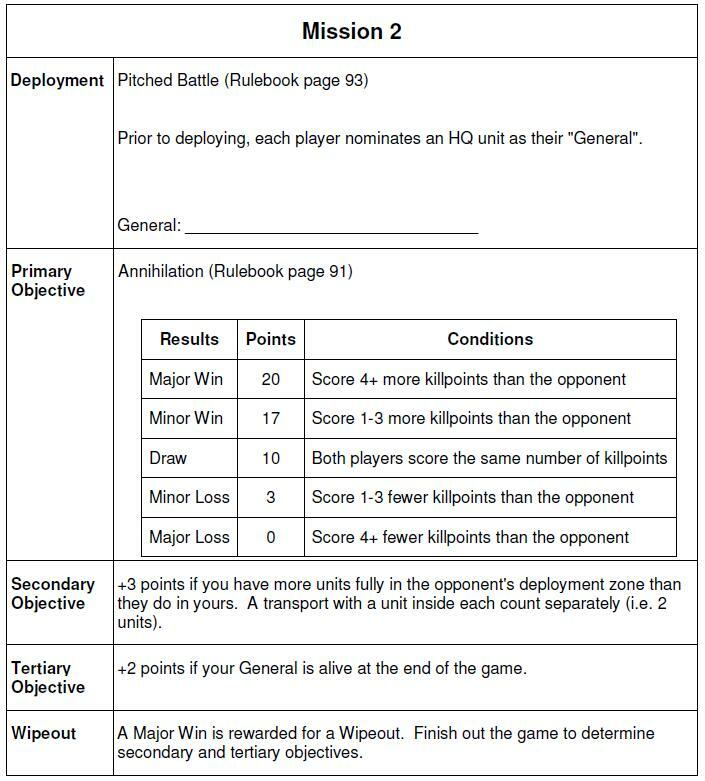 My first objective was to write up some new missions for the RTT coming up this weekend. 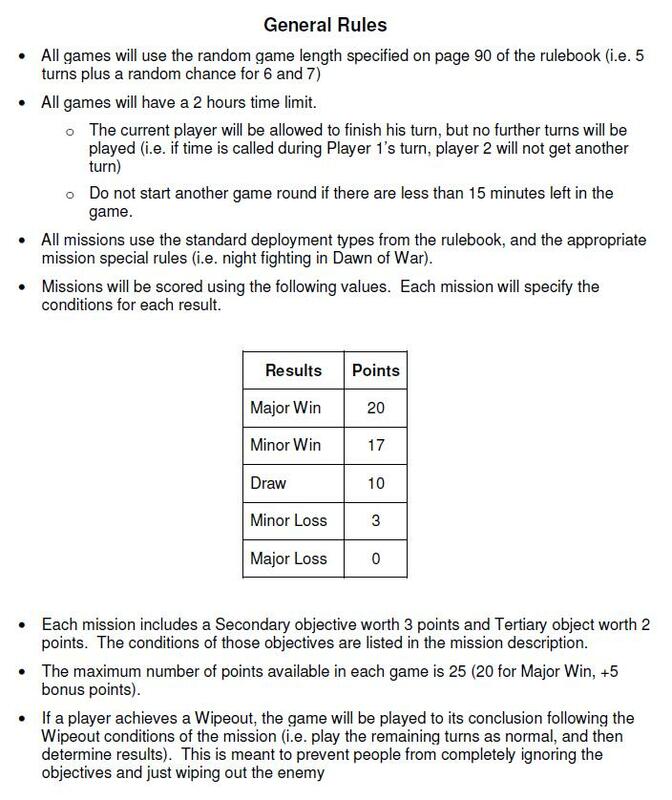 I’ve attempted to use some of the ideas I’ve seen around the internet for good, fair, and competitive missions. 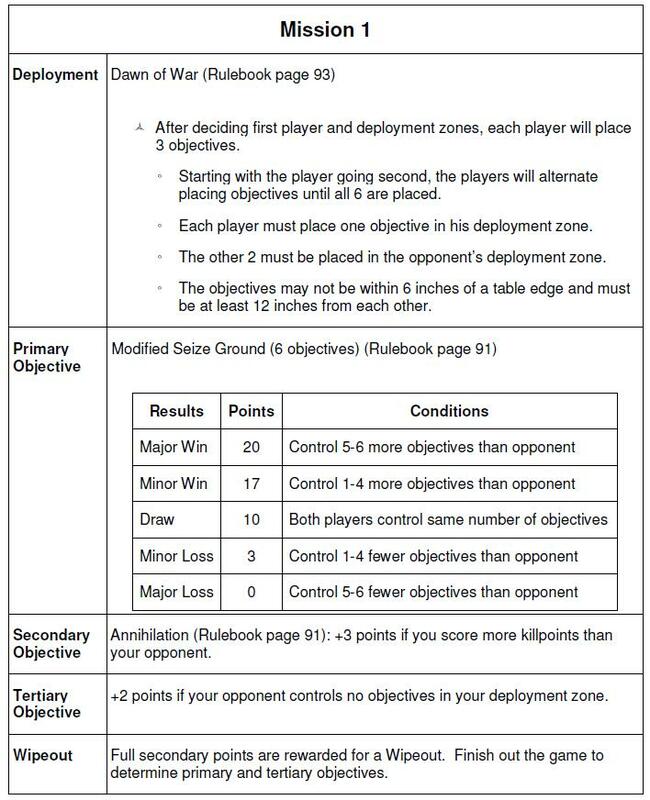 I’ve tried to be very clear in the wording, so that there isn’t any confusion over the objectives and rules. 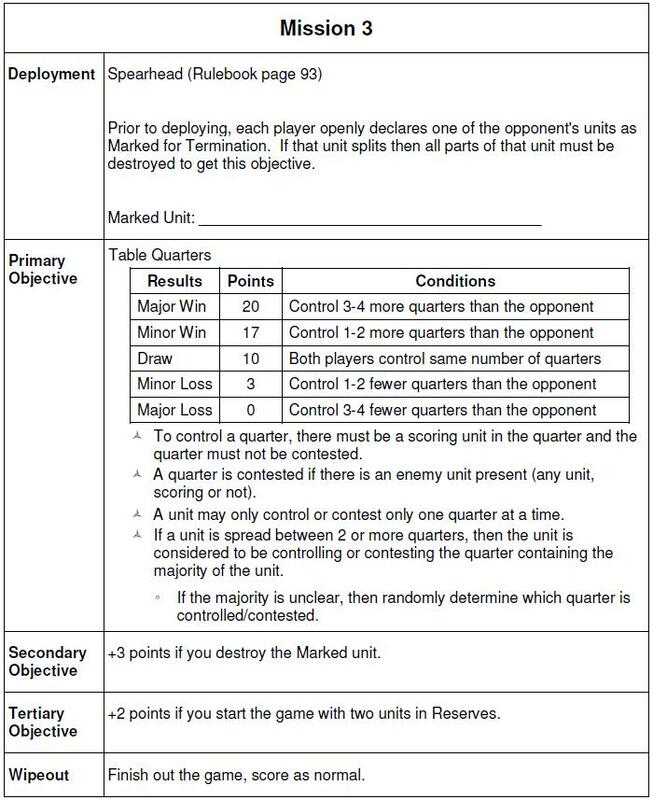 I’ve also tried to keep things interesting by varying the deployment and objectives for each game, and by providing bonus objectives that complement the primary objectives. There you have it. 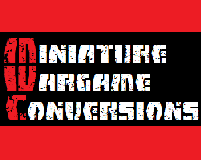 I would love to hear from anyone with comments or criticism of the missions. I won’t be making any drastic changes for this tournament, but any criticism will be considered for future events. Also, if there are any typos or rules that are confusing, I’d love to hear about them now.